When I moved to Suffolk, I had lots to learn. Having never visited the county before I remember overhearing someone talking about the ‘Suffolk punch’ and thinking it was some sort of local boxing term! I soon realised that of course it’s not…. the Suffolk Punch is the most wonderful type of horse! 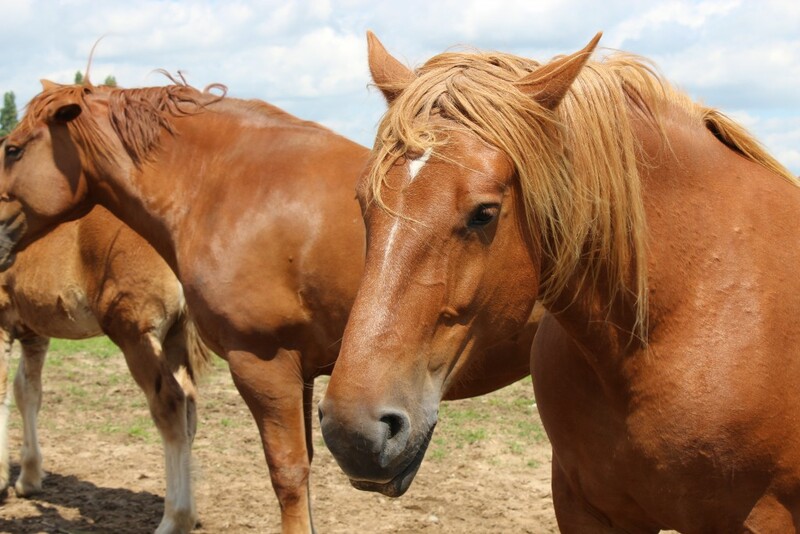 The breed was developed for farm work, however as machinery started to take over numbers declined and today one of the things the Suffolk Punch Trust does is to work to preserve the breed. 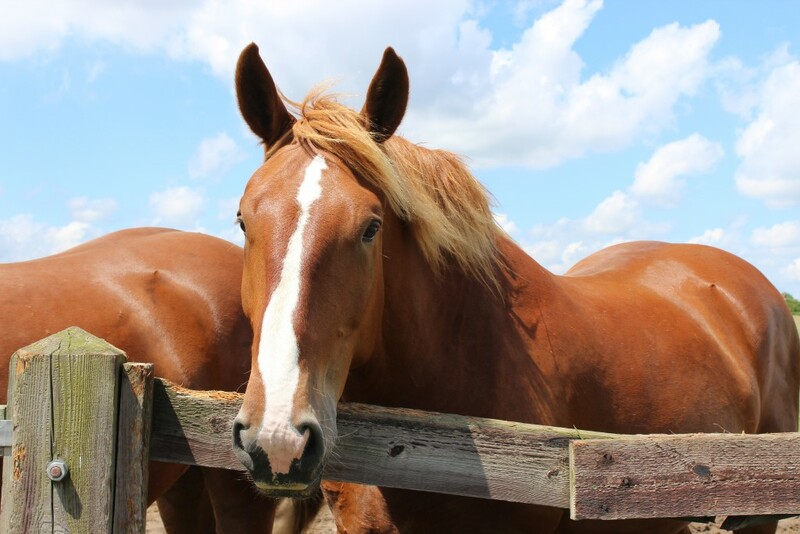 If you want to find out more about this breed of horse the Suffolk Punch Trust at Hollesley is a great day out and has all you would ever need to know about the Suffolk Punch, as we found out when we visited. When we arrived we were given a warm welcome and had a little chat before being handed a map to help us make the most of our day out. First we headed towards the stables where we could get up close to the horses and appreciate just how big they were! After making a fuss of them we explored outside where we found lots of paddocks we could walk around to catch more glimpses of the Suffolk Punch horses. Paddocks as far as the eye can see! The sun was shining which obviously helps, but the location of the Trust is just lovely. 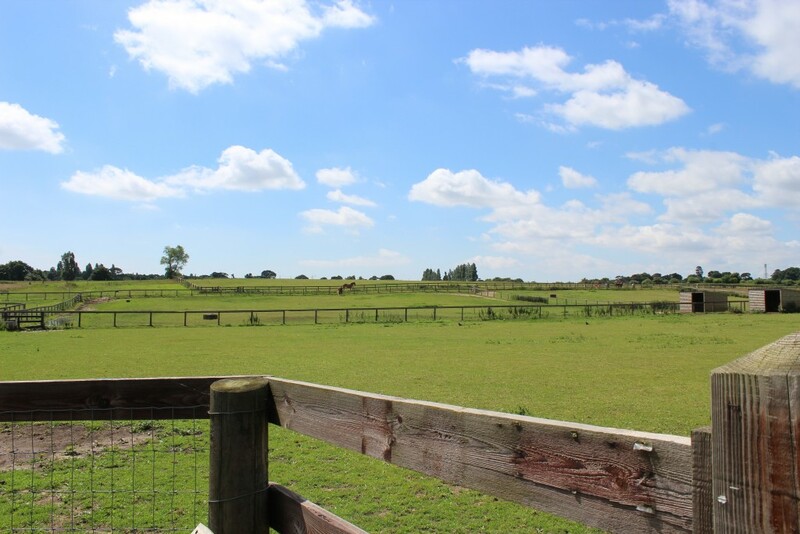 Lots of open space for the horses to enjoy. 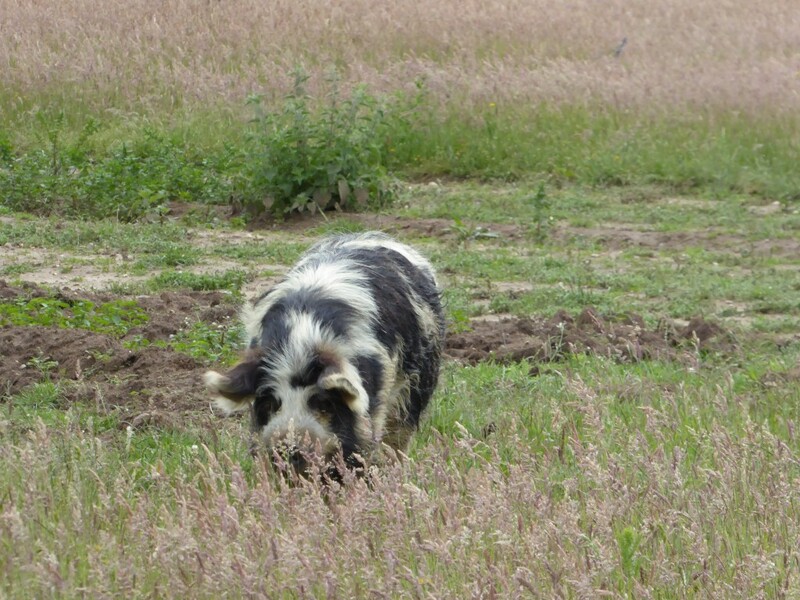 We went for a walk around all of the paddocks bumping into a few surprise animals along the way. Not sure if this is Winston, Wesley or Wilma…but it’s definitely one of them! 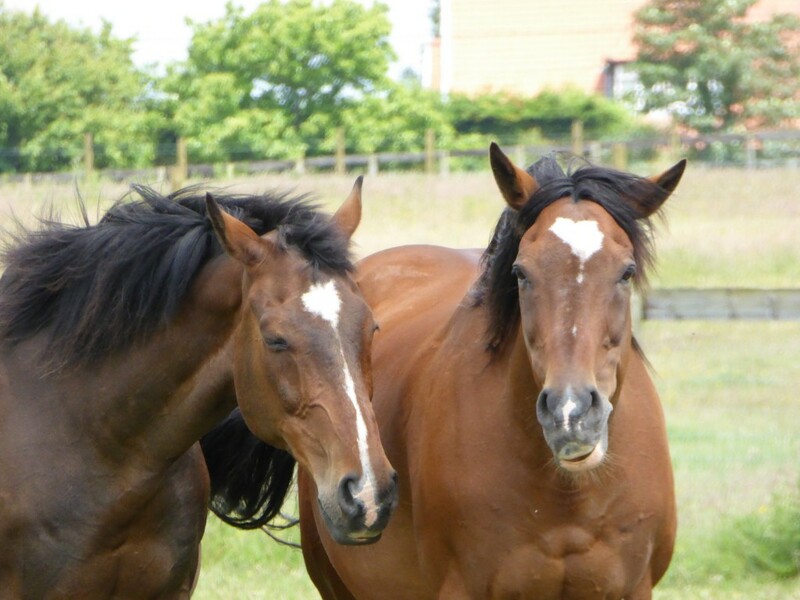 Retired racehorses having a bit of a holiday! 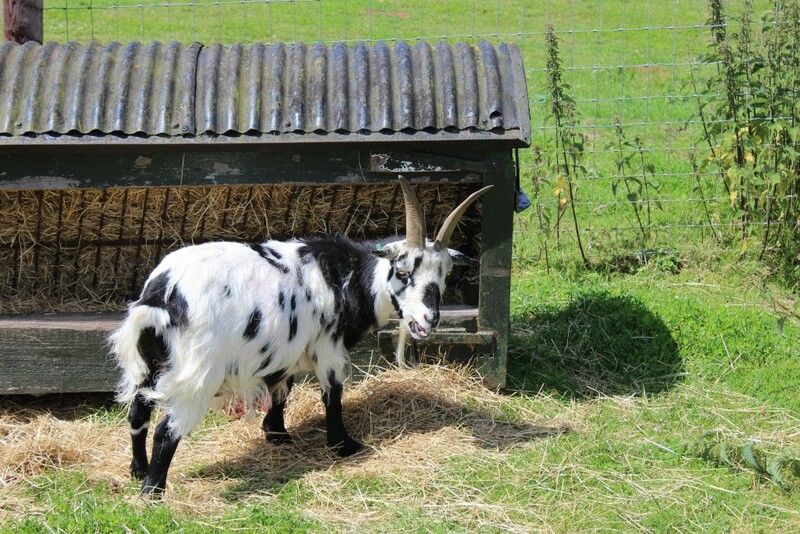 There is also a farm area that has rare breed pigs, sheep cattle, goats, rabbits, guniea pigs and chickens! Mmm… can’t you see I’m trying to eat! Whilst we were there a school trip was being given a guided tour. They seemed to really be enjoying themselves and were gradually getting braver and braver at stroking the horses! It really made me smile, but the highlight for me was meeting two foals that were only a month or so old. 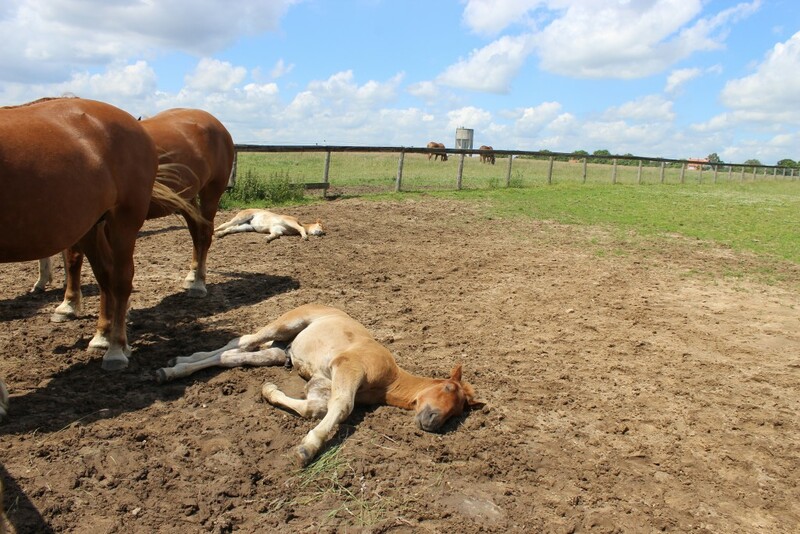 I very rarely see horses lying down but what with the sunshine, and all the fuss being made, it obviously tired them out!! It’s all got a bit too much!!! 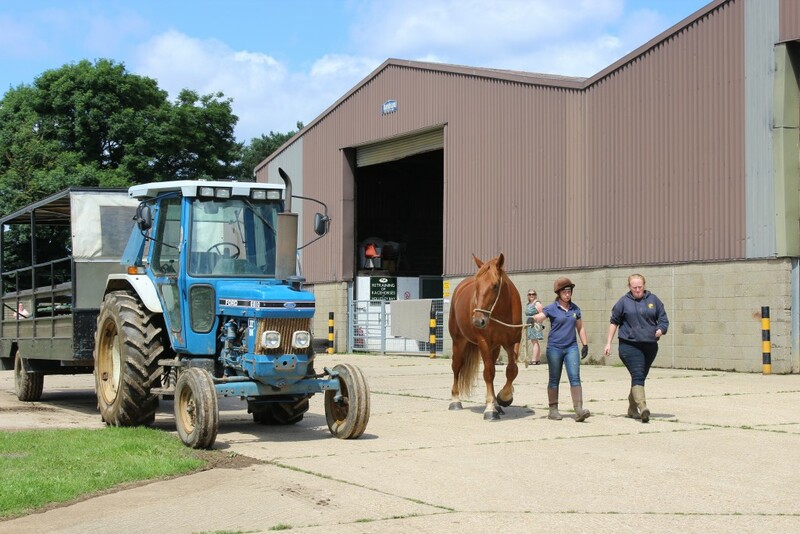 As well as meeting the foals we really enjoyed the tractor-trailer ride around the farm, complete with a guide on board to tell us a bit more about the horses and the work of the Suffolk Punch Trust. The visitor centre has a cafe and small gift shop which is an ideal place to sit whilst you plan what else you would like to do. 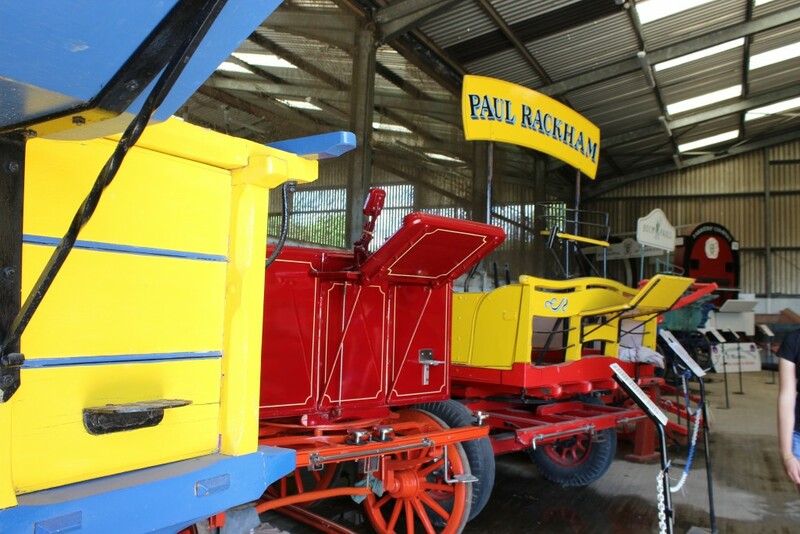 There are three walks, the heritage museum that has artefacts relating to Suffolk farming life and a number of horse drawn vehicles. My day’s out around Suffolk more often than not, have an element of surprise and the Suffolk Punch Trust was no exception. 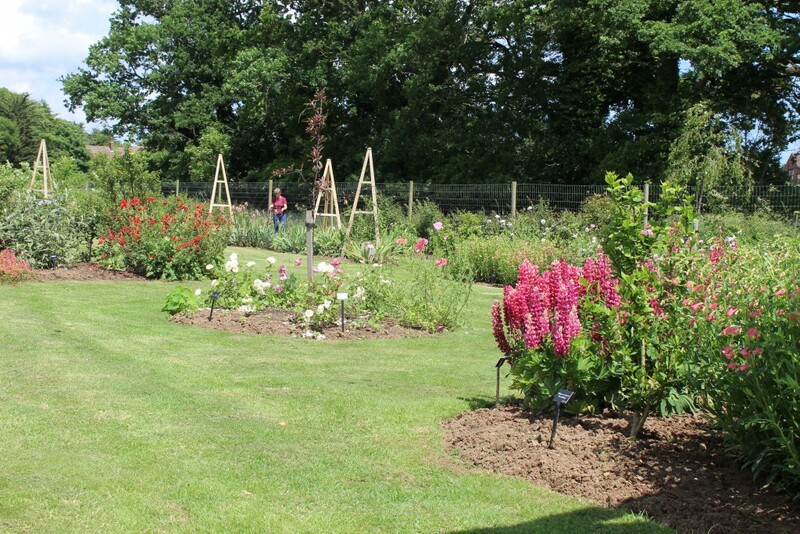 As well as meeting the foals, we came across the Suffolk Heritage Garden which is stocked with lots of different plants associated with Suffolk which looked lovely in the summer sunshine! We had a really lovely day out and as the admission charge comes with a free annual pass we will definitely be going back! 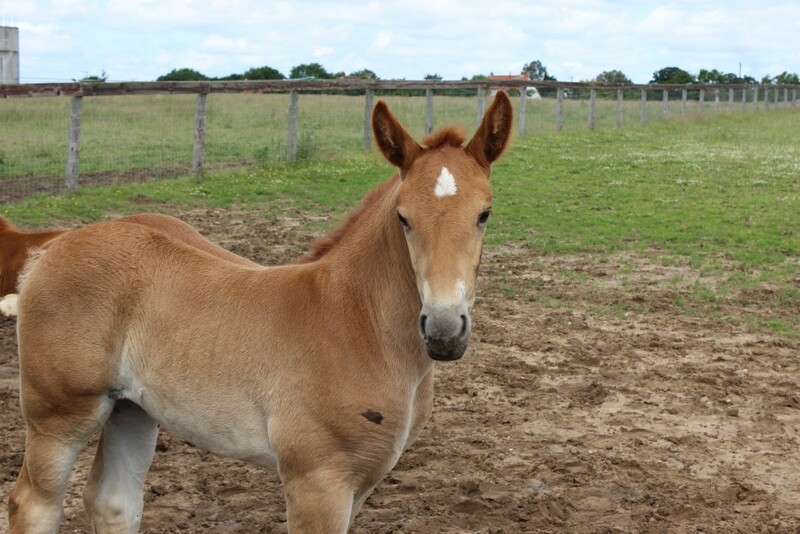 I am so glad that Seeing a Suffolk Punch Horse was in the Suffolk’s Top 50 and I can see why. They are beautiful animals. 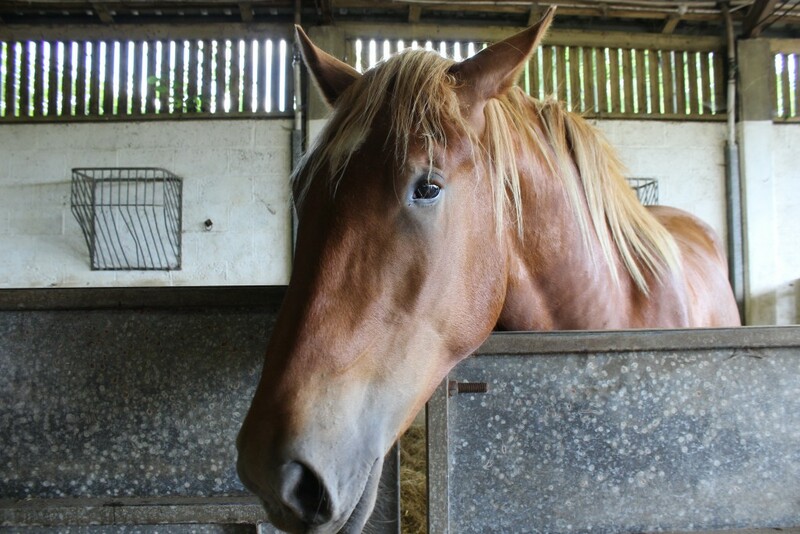 Visiting the Suffolk Trust and seeing the horses really happy in their surroundings has been a great way to learn more about the Suffolk Punch.